Chelsea are enjoying a great season and are on the verge of winning the Premier League title. 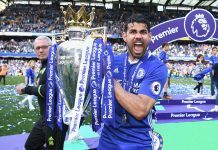 The likes of Diego Costa, Eden Hazard and N’Golo Kante have been superb for the Blues, but there are some members of the squad who have not featured as much as they would have liked to. 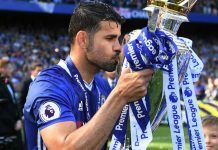 Below we have listed five Chelsea players who should be looking to move elsewhere in the summer transfer window even if the London club win the league title. Cesc Fabregas is one of the best midfielders in the world, but the Spain international is not guaranteed a place in the Chelsea starting lineup. Manager Antonio Conte has used the former Barcelona star as an impact substitute this season, and it has paid dividends. The 29-year-old has scored four goals and nine assists in 10 Premier League starts this campaign according to WhoScored, having made an appearance as a substitute on no fewer than 15 occasions. Fabregas has a lot to offer and can play regularly for pretty much any other team in England. With Manchester United and Liverpool repeatedly interested in him, the former Arsenal star would be wise to weigh up his options. It would make no sense for Fabregas to be a squad player next season when a place in the Spain national football team for the 2018 World Cup finals will be at stake. Asmir Begovic knew when he joined Chelsea back in 2015 that he was going to be a second-choice goalkeeper. Thibaut Courtois is one of the best goalkeepers on the planet and is a genuinely world-class player. The Belgium international goalkeeper’s form is one of the reasons why you would have made a profit of £89 had you placed a £10 bet for Chelsea to win every time they played during this campaign, according to research by sports betting company Betway. Begovic is much better than just a back-up, and the Bosnia and Herzegovina international should be looking to switch clubs in the summer transfer window. The 29-year-old should be eyeing a move to a club where he can make a meaningful contribution, like Everton. Michy Batshuayi is a very talented and promising striker and arrived from Marseille in the summer of 2016 amid hype and expectation. The Belgium international cost Chelsea as much as £33 million, as the Guardian reports, but his contribution on the pitch has been rather underwhelming. With Diego Costa scoring goals and in good form throughout the season, Batshuayi has failed to make a single start in the Premier League for Chelsea. 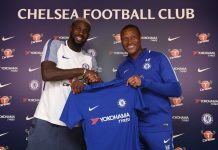 The London club will know that they will not be able to get back the £33m they paid for the 23-year-old if they sell him in the summer transfer window, but it would be wise to send the striker out on a season-long loan deal. West Bromwich Albion would be a decent Premier League club for Batshuayi to get used to the rigours of the Premier League and showcase his talent. Willian has been on the books of Chelsea since 2013 and has played over 100 Premier League matches for the Blues. 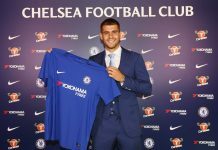 The Brazil international attacking midfielder has been a success at Stamford Bridge, but he has struggled for playing time this season. The 28-year-old, who can also operate as a winger and was Chelsea’s best player last season with five goals and 81 chances created, has made only 13 starts in the Premier League this campaign. 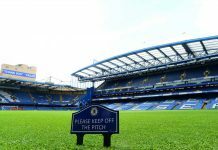 Willian is too good to sit on the substitutes’ bench, and he should be looking to move to another club. Leaving Chelsea, who are set to become the Premier League champions this season, would be hard, but Willian is the peak of his career and he must keep in mind that he needs to earn a place in Brazil squad for the 2018 World Cup in Russia next year. Previous articleWill Chelsea win the League Again Season?